Theories related to Qatar’s role in the Syrian war and Doha’s desire to construct a natural gas pipeline that runs through Syria and supplies Europe have preoccupied analysts throughout the last five years. But “Israel’s” energy ambitions have received far less media attention. Within the space of ten years, the “Israelis” went from hardly even consuming natural gas to being a major producer, now eyeing significant export opportunities. The real game changer was the discovery of the Leviathan field in the Mediterranean, which is estimated to hold at least 500 billion cubic meters of natural gas. The December 2010 find was conveniently followed by the Syrian conflict just three months later. However, the failure to oust the Damascus government ruled out prospects for the construction of overland pipelines – the cheapest delivery system to potential markets. Instead, the “Israelis” had to turn to other more expensive alternatives to deliver their so-called ‘trapped gas’ to customers in Europe. 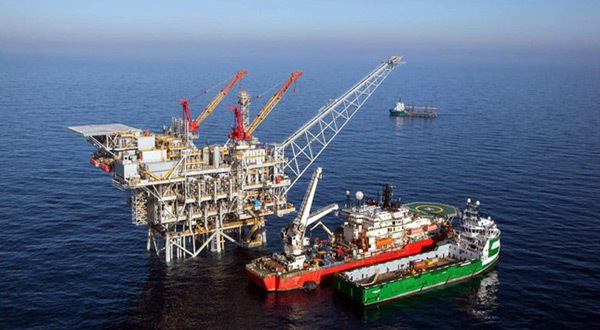 In early April, “Israel’s” energy minister, Yuval Steinitz, signed a preliminary agreement with Cyprus, Greece and Italy to pump natural gas across the Mediterranean, with costs estimated to run up to a whopping USD 7 billion. Aside from being extremely pricy, the seabed pipeline would also be the world’s longest and deepest, extending for over 2,200km from “Israeli” and Cypriot offshore gas fields, to Greece and Italy. But most experts agree that this supposed bold gambit on the part of Tel Aviv is nothing more than a tactic in negotiations with Turkey, where the “Israelis” are eyeing a much shorter, safer and most importantly, cheaper pipeline. Last week, “Israel’s” Steinitz visited Ankara for a meeting with his Turkish counterpart, Berat Albayrak. The two agreed to speed up the adoption of an agreement for the construction of a pipeline that would carry “Israeli” natural gas to Europe through Cypriot waters, and onto Turkey. The project, which directly undermines Europe’s main gas supplier – Russia – has already seen four rounds of negotiations between Ankara and Tel Aviv. For the European Union and the bloc’s obsession with not becoming a ‘hostage’ to Russia’s Gazprom, the prospect of being able to rely on “Israeli” gas is welcome news in Brussels. “We highly value gas supply from the region… that can make a valuable contribution to our strategy to diversify our sources and suppliers,” said the EU’s climate and energy commissioner, Miguel Arias Canete, after the “Israelis” and the Europeans reached their preliminary agreement in April. Turkey’s motivations are equally ambitious. President Recep Tayyip Erdogan has always dreamt of turning his country into a strategic pipeline crossroads; serving as a transit route for Russian, Caspian, Iraqi, Iranian, and, of course, Persian Gulf oil and gas to Europe. His role in fueling the Syrian conflict was partly about turning this dream into reality, until the costs began to outweigh the benefits. But despite the setbacks, Erdogan has still managed to clinch key agreements; the Trans Adriatic Pipeline [TAP] as well as the Turkish Stream, which will be transporting Caspian and Russian gas to the European continent via Turkey. Hoping to bolster its role as a key gas portal for European states, Ankara now has its eye set the “Israeli” pipeline. The realization of these projects would undoubtedly transform Turkey from a regional to a global energy corridor. Meanwhile, the “Israeli” energy minister and Premier Benjamin Netanyahu, have promoted the pipeline as a ‘win-win’ for both countries. Naturally, for the increasingly isolated Tel Aviv, the benefits are far from just economic. Becoming a leading energy exporter comes with obvious geostrategic advantages, which would also elevate foreign support for the “Israeli” occupation of Arab lands, as well as Tel Aviv’s frequent and bloody military adventures in the region. That is an enticing prospect for the political and military establishment in Tel Aviv, and one worth going the extra mile for. The recent natural gas discoveries are not confined to “Israeli” shores, but stretch across the eastern Mediterranean. According to experts, the reserves are sizable, and the region has enormous potential to transform itself into an important supplier of the natural recourse. Tel Aviv, though, is not exactly keen on having regional competitors. If the “Israelis” are to fulfill their ambition of being crowned as a new global energy exporter, they need more than just the reserves found off their coast thus far, which pales in comparison to true gas giants – Russia, Iran and Qatar. So, when the government in Lebanon, led by President Michel Aoun, published a tender in March to explore untapped gas and oil reserves that lie off the Lebanese coast, Tel Aviv was quick to react. The “Israelis” laid claim to the 860 square-kilometer zone, which is believed to be flushed with natural gas reserves. The move was described as a “declaration of war” by Lebanon’s parliament speaker, Nabih Berri. Speaking to al-Jazeera on condition of anonymity at the time, an official from the Lebanese Ministry of National Defense estimated “that there are approximately 865 million barrels of oil and 96 trillion cubic feet of gas in that area”. “This is something that “Israel” will fight tooth and nail for,” he said. Although tensions have been rising for years between “Israel” and Lebanon over the contested waters, the likelihood of a military confrontation remains low. However, it is important to point out that the leader of the Lebanese Resistance movement, Sayyed Hassan Nasrallah, repeatedly vowed to defend Lebanon’s natural recourses. He sent a very clear message – that Hezbollah was ready to take all necessary steps including the use of force, in order to prevent the “Israelis” from stealing the underwater reserves. Meanwhile, Lebanese political factions have shown their willingness to cooperate in protecting the country’s gas and oil wealth. The Lebanese state has also managed to adopt a pragmatic approach when challenging Tel Aviv’s claims, combining legal, political and economic measures. The discoveries in the eastern Mediterranean certainly have the potential to help Lebanon attain higher energy security, improve its industry, transportation and power sectors. Furthermore, the oil and gas revenues would have a very positive effect on the country’s public finances and the economy as a whole, while helping to reduce the cost of local goods and services. Such prospects are unlikely to go down well in Tel Aviv. The “Israelis” are certainly more than just prone to employing the use of natural gas discoveries as a tool – not just to further their own economic interests – but to sabotage those of Lebanon.